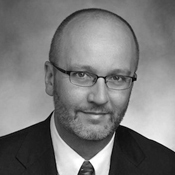 James Ketterer is Director of BGIA and Dean of International Studies at Bard College. He also teaches in Bard’s Political Studies and Middle East Studies programs. Ketterer previously served as Egypt Country Director for AMIDEAST, an educational and cultural affairs organization. Prior to that he was Vice Chancellor for Policy & Planning and Deputy Provost at the State University of New York (SUNY). While at SUNY, he also was director of the Center for International Development and a program officer at the Center for Legislative Development. In government, he served on the staff of the New York Commission on Higher Education, the National Security Council staff at the White House, and as a policy analyst at the New York State Senate. He has also worked on elections for the United Nations, the African-American Institute and the Organization for Security and Cooperation in Europe. He is currently a non-resident Research Fellow at the Center on Public Diplomacy at the University of Southern California and has also held teaching positions in international politics at the New School for Social Research, the State University of New York at New Paltz, the University at Albany, Russell Sage College, and the College of Saint Rose. Democracy – a concept with many competing definitions – is increasingly challenged around the world, including in the U.S. I have served as an international election observer for the last 25 years in places including Congo, Guinea, Macedonia, Bosnia-Herzegovina, Ukraine – and I helped to run the first elections on Kosovo following the war there. I was also living in Egypt and witnessed the first post-revolution elections for parliament and president, and later lived through the coup that removed the president. Most of these were the first free elections held in the country and were very dramatic. From these experiences and other work on international development projects, I have been able to see common themes in what makes democracy work and what undermines it, especially on a human level. How does democracy really work on the ground, one polling station to the next, and what are some of the stories that can help Americans reflect on how hard one has to fight for the right to vote, and how easily it might be taken away anywhere in the world. In my talk I will explore specific examples of violence and corruption juxtaposed with compelling examples of perseverance and compassion.